The Liberal Media is afraid of electable Republican minorities. When Marco Rubio ran for U.S. Senate in Florida, the media and political establishment went on the attack. He was a tea party conservative Republican. That was bad news. The Democrat Party and the liberals went into a frenzy. After all, if these Hispanic Republicans keep getting elected then it will be hard for the Democrats to keep saying that they are the party for the minorities. It is only a matter of time until minorities all wake up and realize that they have conservative beliefs and the Republican Party is actually the Party for minorities. The Democrats just talk it. Cruz, like Rubio, is under attack from the press. In fact, the barbs are a transparent attempt to rehash the Rubio attack by going after Cruz’s father’s history of fleeing oppression in Cuba. This time, the story is being peddled by the Dallas Morning News, which ran a feeble attack against Cruz. The gist of that story is that Cruz has “misled” Texas audiences about his father’s role in Cuba and his family’s subsequent escape. The Dallas Morning News Retracted their Smear Attack the day after they ran it because they realized that, well, the attack WAS NOT INACCURATE. You know a candidate actually has a chance to win when the media has to start making up stuff about the candidate’s father’s escape from oppressive Cuba. I guess they have nothing they can say about his rock solid conservative foundations so they go for the next best thing and they try to distract people by making people think that he is being dishonest about how his father escaped from Cuba. Cruz, the Dallas Morning News was forced to acknowledge, has been entirely candid about his father's heroic journey. The Dallas Morning News story attempted to tag Ted Cruz with a Marco Rubio problem, i.e. not having a perfect photographic memory of Castro-related events that in both Cruz’s and Rubio’s cases happened in Cuba before they were born. But where Rubio’s family memory doesn’t entirely square up with documentation, Cruz has no such problem. He has long included his family’s history in Cuba in his stump speeches, and it’s a remarkable history. His father, as a teenager, was part of the resistance against the dictator Batista. He was even imprisoned and tortured by the Batista regime. That puts him fighting on the same side as Fidel Castro’s forces, but in the years before Castro revealed his Communist beliefs to the world. Castro lied about his own Communist beliefs, both before and for a while after seizing power. The fight at the time, and in which Cruz’s father was involved, was against a brutal dictator. The tragedy of Cuba is that having offloaded one brutal tyrant, the island soon found itself in the grips of another and more ambitious one. Families like the Rubios and Cruzes ended up exiled from the land of their birth, and went on to make amazing lives for themselves and their children in the United States. Rubio is now a senator and on everyone’s short list to get on the presidential ticket, and facing a scurrilous attack from the likes of the Washington Post, while Cruz, the former solicitor general of Texas, is running to become one of Rubio’s Senate colleagues. And facing down a nasty attack as well. But none of the Batista versus Castro war has very much to do directly with Ted Cruz, at least until the DMN‘s Bob Garrett ran his story attacking Cruz. But Garrett finds no actual instances of Cruz misleading anyone, about anything. The most damaging material he comes up with is that Cruz hasn’t mentioned his father’s history in appearances over the past couple of months, as if he’s obligated to recite his family history in every speech. 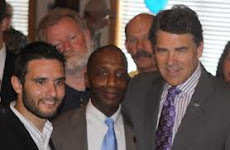 The Texas Democrats fear and dread the rise of a young, dynamic and conservative Hispanic Republican to the US Senate. Like Rubio, some of these silly attacks against Cruz might be coming from within his own party. That is just too bad. This is a hotly contested Senate race and competition is to be expected, but let’s try to all stick to the facts and the issues.